Some houses just wouldn't be the same with an asphalt shingle roof. Clay tile roofs have been around almost forever, it seems. Tiles 12,000 years old have been found in China. They feature in much of ancient Greek and Roman architecture and in diverse building styles around the world and across the centuries. Under the right conditions, clay tile roofs can be very long-lived and low maintenance, but not every climate is equally friendly to clay tile. Clay is, of course, a natural material, mined where it is plentiful, formed into one of myriad tile shapes and fired in high-temperature kilns. Iron content in the clay produces the familiar terra cotta red color. Without the presence of iron, the fired clay is buff to brown. Sometimes the clay tiles are washed with manganese solution before firing to produce darker variations of the base color. Tiles can also be glazed to feature any color. Fired clay tiles are dense, brittle and somewhat porous—not as porous as concrete tiles but enough so that they suffer in climates that experience freeze/thaw cycles. Classic barrel type clay tiles are made in a variety of colors. While ancient roofs relied on clay tile alone to keep out the rain, modern building standards are less tolerant of the occasional leak. Clay tile sheds water but it cannot completely prevent infiltration by wind-driven rain. To perform satisfactorily, beneath a modern clay tile roof there must be a decking of solid wood or plywood—composition board lacks adequate nail-holding capabilities—plus one or more layers of No. 30 asphalt-saturated felt paper or self-adhesive waterproofing membrane. In addition to the broad protection afforded by the underlayment material, the choice of material used for gutters and flashing is important. After all, the longevity of your roof is only as good as its least durable component. Aluminum or galvanized sheet metal, sufficient for the life of an average asphalt roof, would be the weakest link in a clay tile roof. Instead, flashing for clay tile must be formed from heavy-gauge copper or stainless steel. Likewise, the nails used to attach clay tiles to the decking should be corrosion-resistant copper or stainless steel. In areas subject to high wind, the tiles must also be attached at the front with copper or stainless steel nose clips to prevent them from lifting or rattling. 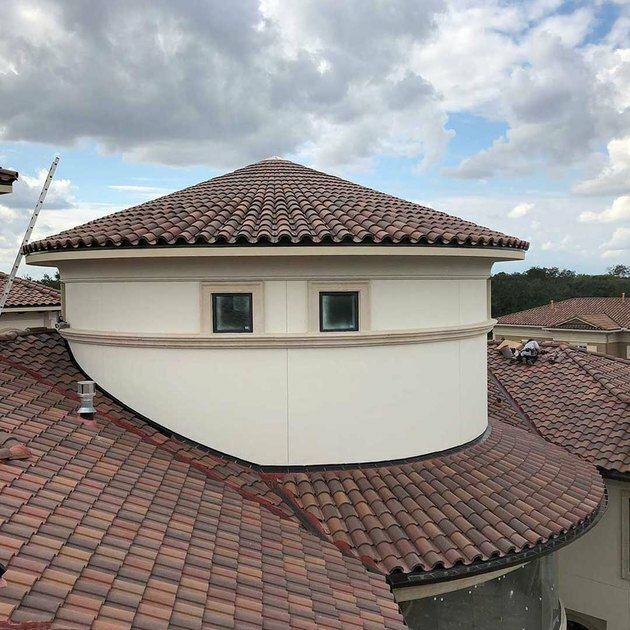 For a conical roof, the clay tiles must be graduated in size and tapered. Preparing and installing a clay tile roof is a job for experienced experts; every aspect is critical and exacting, from the aforementioned underlayment and flashing to the proper attachment of the tiles. Even the tiles on the main body of the roof, called the field, have very specific requirements, some of which will vary with the pitch of the roof and with the anticipated extremes of local climate. Fasteners pinning down individual tiles must not be over-driven or they will crack the tile. On roofs with multiple and complex angles or on a curved roof, fitting the tiles to the roof surface entails a great deal of custom cutting to angle or taper the tiles. Needless to say, this is time consuming and adds significantly to the cost of an already expensive roof. 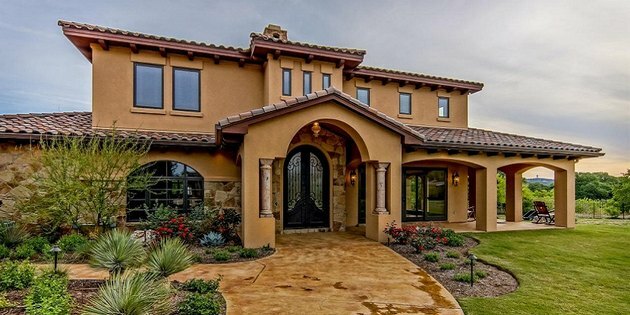 Like concrete tile, a clay tile roof is a very heavy roofing material—more than three times the weight of a comparable asphalt composite shingle roof. That means that the framing of your roof supports must be sturdy enough to carry all that extra weight. New construction can be built to those structural specifications, and a roof that previously bore a tile roof can be presumed adequate to support another one. A roof not specifically built for tile, however, must be examined and certified by a structural engineer and fortified if deemed necessary. These "hidden" expenses, if they apply, must also factor into the overall cost of a clay tile roof. credit: Image © Eastman Roofing & Waterproofing, Inc.
Not every clay tile roof is on a mansion. 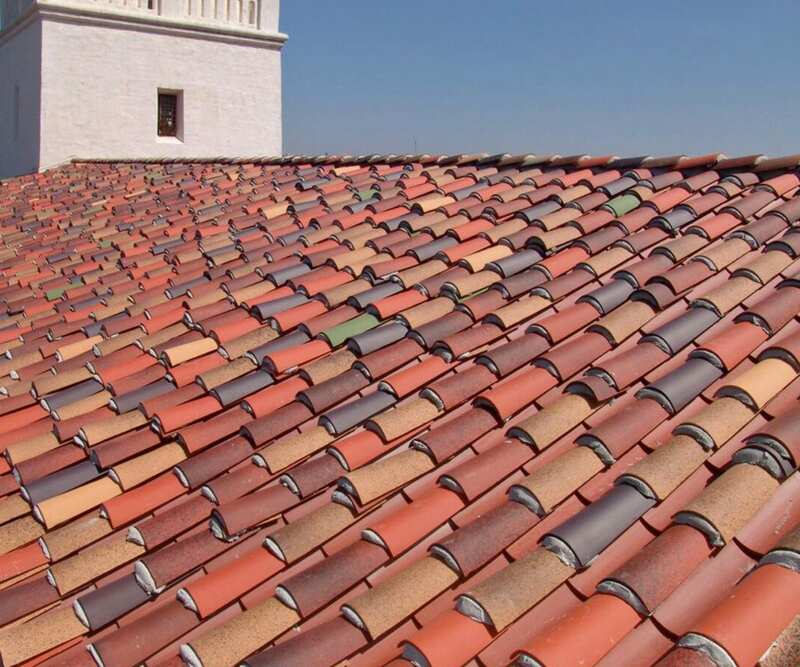 The promoters of clay tile as a roofing material may promise that it will last for 75 to 100 years and it certainly can under the right conditions. Barring damage from walking on it or from falling tree branches or from the freeze/thaw cycle of northern climates, the tiles may very well outlast your house and survive to be recycled to some other roof. If they are not reused, they can be crushed and returned to the earth with no environmental impact. But don't forget that clay tile is only the cosmetic layer of the total roofing system. The water-repellent underlayment and tile-supporting battens have an estimated lifespan of 40 years or less. If deterioration of the underlying support results in leaks or loose tiles, the entire roof-full of tiles may have to be removed while the underlayment and battens are replaced. If the roof array includes many cut and fitted tiles, imagine the headache of cataloging each tile and its proper position. By most surveys, clay tile roofs average from $15 to $30 per square foot, installed. Compare this to standard asphalt shingles, which typically can cost between $3 and $8 per square foot, installed. Replacing a tile roof on a structure that has already support one puts installation at the lower end of this range; if structural reinforcement is necessary, expect to pay near the high end of the price range, and sometimes considerably more if substantial work is necessary. It's not uncommon for the structural work alone to cost $10,000 or more, before the roofing work even begins. Offsetting this high price, though, is a longevity that is better than any other roofing material, other than slate. 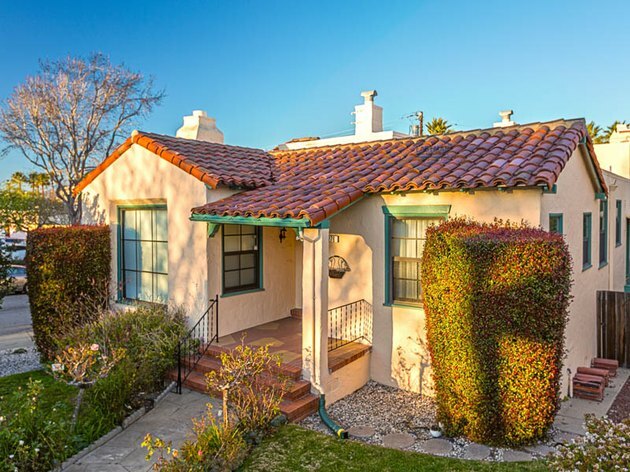 A clay tile roof is a worthy long-term investment—long-lived, fireproof, resistant to damage from high wind, a thermal barrier that can buffer against extremes of temperature and, above all, an inescapably charming crown to the architectural styles that call for it. If the installer's workmanship is good and the weather congenial, it may even turn out to be economical. A former agency art director then freelance designer, illustrator and copywriter, Bill has written for the medical, technical, industrial, food and agricultural industries. With over 35 years experience in the area of home improvement. He has produced books on multiple subjects for Home Depot, The Handyman Club of America, Hometime, Black & Decker and Popular Mechanics.